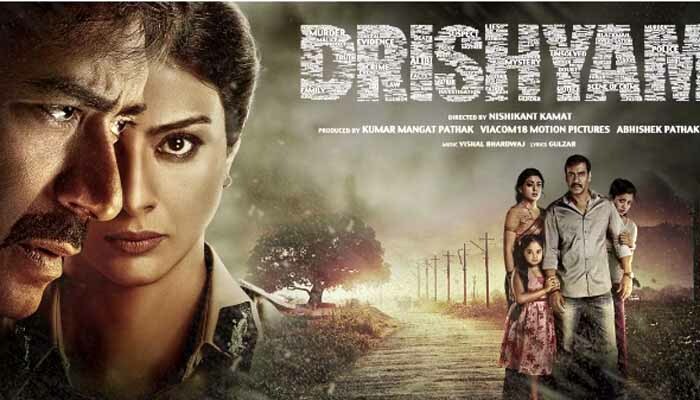 Mumbai : After releasing the first look of the upcoming film of Ajay Devgan and Tabu's 'Drishyam' the makers of Drishyam has released Motion poster and 'Dum Ghutta Hai...' song of the film, which unveiled by Ajay Devgn and Tabu. This is the first time when all team member of Drishyam was come together at an event. Ajay Devgn, Tabu, Shruya Saran, Rajat Kapoor was present there as well as director of the film Nishikant Kamat, Vishal along with Rekha Bhardwaj and Producer Kumar Mangat, Abhishek Pathak and Ajit Andhare also came at event. Ajay Devgn said, "Director said me not to do any work out because this is a story of a simple man and told me to wear a full sleeve shirt." 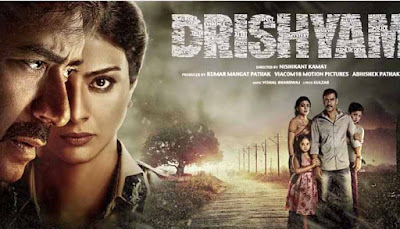 Director Nishikant Kamat’s 'Drishyam' is a thriller drama film, which features Ajay Devgn, Tabu and Shriya Saran in the lead roles, and produced by Kumar Mangat Pathak, Ajit Andhare and Abhishek Pathak. The film is a remake of a 2013 Mohanlal-starrer Malayalam film of the same name. The film is a story about a common man who living in a small town and he will do anything if anything bad or danger happens to his family, which is scheduled for release on 31 July this year.